The album went to number 1 in the UK and stayed in the albums chart for over a year, making it her best selling album to date. 'Hounds Of Love' received critical acclaim on its release and in retrospective reviews. It is considered by many fans and music critics to be Bush's best album, and has been regularly voted one of the greatest albums of all time. Ronnie Randall wrote in Sounds: "Dramatic moving, and wildly, unashamedly, beautifully romantic." Jane Solanas in NME added: "It's an obvious progression of the skill shown on The Dreaming." Colin Irwin, Melody Maker: "She's way out of sync with everything else that's going down right now... here she has learned you can have control without sacrificing passion". Dermot Stokes, The Hot Press: "Obviously and unarguably one of the more powerful intelligences of modern pop... but can all this profusion of talent be harnessed to produce The Work? Well by jasus, if this album isn't it, it's awful close... It's a very powerful and dare I say it, female album, and I'll be playing it longer than most." The album was originally released on LP, CD and tape. The album was also included in the This Woman's Work box set in 1990. On 16 June 1997 a remastered version of the album was released as part of EMI's 'First Centenary' reissue series. This version included six bonus tracks: The Big Sky (Meteorological mix), Running Up That Hill (12" mix), Be Kind To My Mistakes, Under The Ivy, Burning Bridge and My Lagan Love. 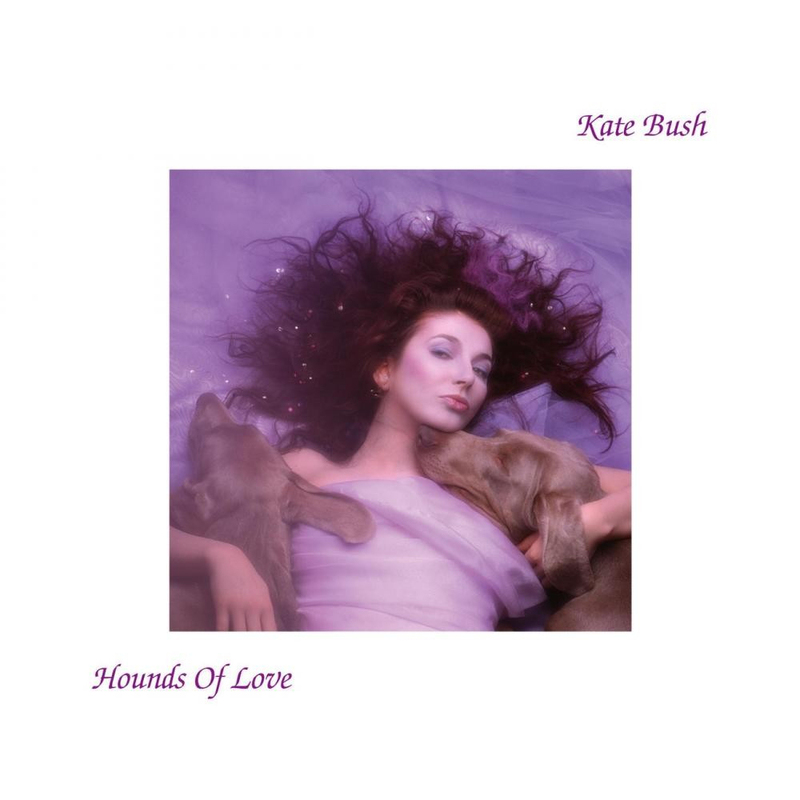 In 2010, Audio Fidelity released Hounds Of Love on vinyl with new remastering by Steve Hoffman. Many hours were spent on tiny vocal ideas that perhaps only last half a minute. Many hours went on writing lyrics - one of the most difficult parts in the process for me, in that it's so time-consuming and so frustrating, and it just always seems to take far too long for something that seems as though it should come so naturally. One of the difficult things about the lyrics is that when I initially write the song, perhaps half of the lyrics come with it but it's almost more difficult fitting in the other half to make it match than it would be perhaps to start from scratch, where, for instance, you might have just hummed the tune; or where, in some cases, I wrote them as instrumentals, and then the tunes were written over the top of this. Many times I ring up Paddy and ask him to come over to the studio immediately, to bring in that string-driven thing - to hit that note and let it float. One of the most positive things is now having our own recording studio where we can experiment freely, and it's definitely one of the best decisions I've made since I've been recording albums. We've put a lot of hard work into this album, so we've been waiting for it to be finished and ready, and I know you've been waiting. I hope that after this time, and after all the snippets of information we've been giving you, you don't find it disappointing, but that you enjoy it, and that you enjoy listening to it in different ways again and again. Hounds Of Love. Wikipedia, retrieved 31 October 2014. Mark Lindores, 'Classic Albums: Hounds Of Love'. Classic Pop (UK), September/October 2013.